Once a year, the Chinese in Phuket Old Town would have a week long celebrations oddly named Vegetarian Festival. The Thailand Tourism Board renamed it for the Tourists dollar. The Chinese here celebrate the Ninth God Celebration, a festival which sends off the Ninth God of the Taoist Heavens. As a gruesome and almost bizzare way of cleansing themselves from Karma and Sin, the Ninth God devotees would go into a trance and perform these piercings. Phuket old town turns into a hectic frenzy during October with all the devotees from all over Thailand coming and participating in the processions. Some devotees would possess different Gods and get into an aggressive trance for a day long procession, they would begin from Ninth god emperor’s temple in the old town, joining the procession in Phuket Old town before ending their devoted offerings at their chosen temple. 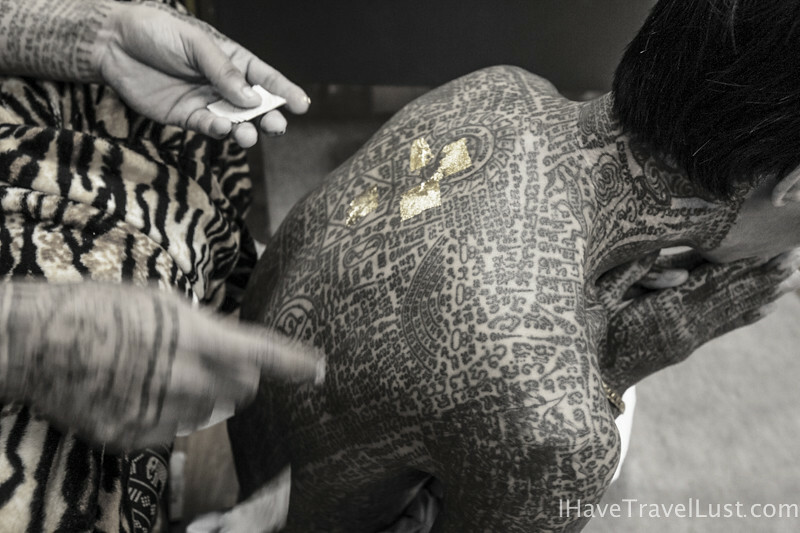 Each year, more devotees compete with each other to have as many bizzare objects as their piercings. Out-doing each other and attracting audiences Part of the ritual involves going through a complete vegetarian diet and getting into a trance to invoke and possess the various Gods of their choosing. Quite a sight! 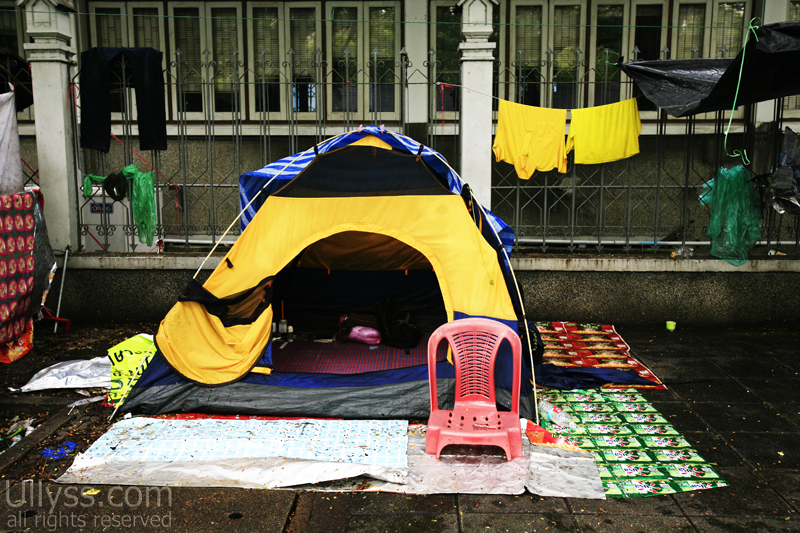 In 2008, I visited Bangkok, Thailand, when the then incumbent prime minister declared State of Emergency, the political breakdown of Thaksin Government occurred 2 years before. 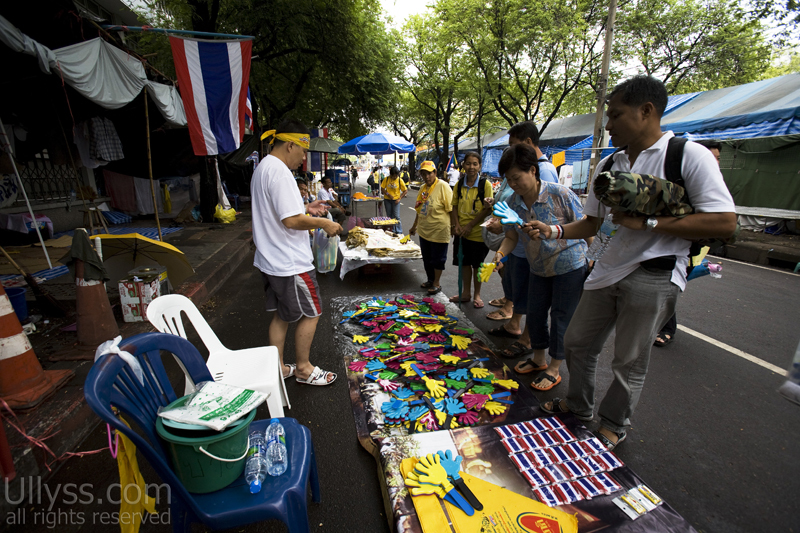 The Yellow shirts, or Anti-Thaksin supporters quickly set up protests around the Central Government region and called for the return of Thaksin (who fled to London) to face legal arrest for corruption. Around Feb, 2006, Prime Minister Thaksin was ousted due to his sales of Shin Corporation (Shin Corp) a leading Thai telecommunications company to Singapore’s government affiliated Temasek Company. The Thais mainly middle and upper class citizens were upset that Thakin family had pocketed billions of dollars from the sale without paying the appropriate taxes for it. Come 2008, the controversy went on with Thai law regarding foreign investments in the telecom sector had been amended just prior to the sale. 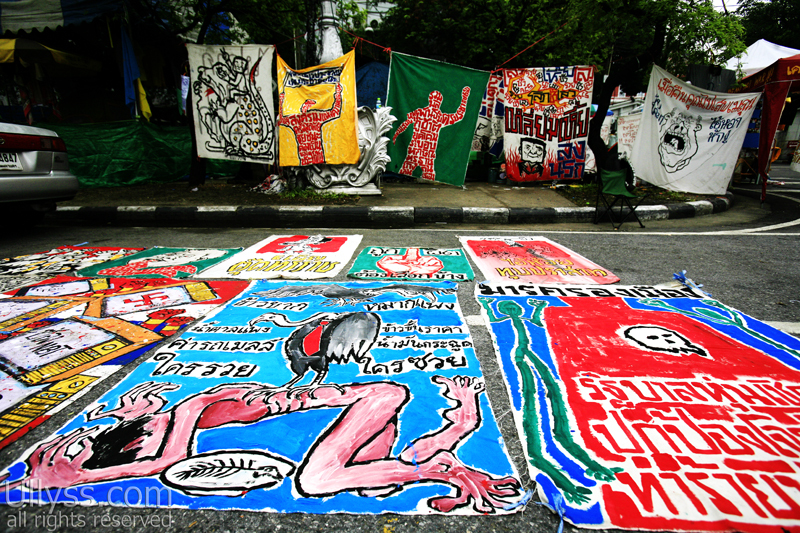 The resulting political turmoil forced Thaksin government to order the dissolution of the Lower House and a puppet government affiliated with Thakin was put in power, much to the Thais dissatisfaction. 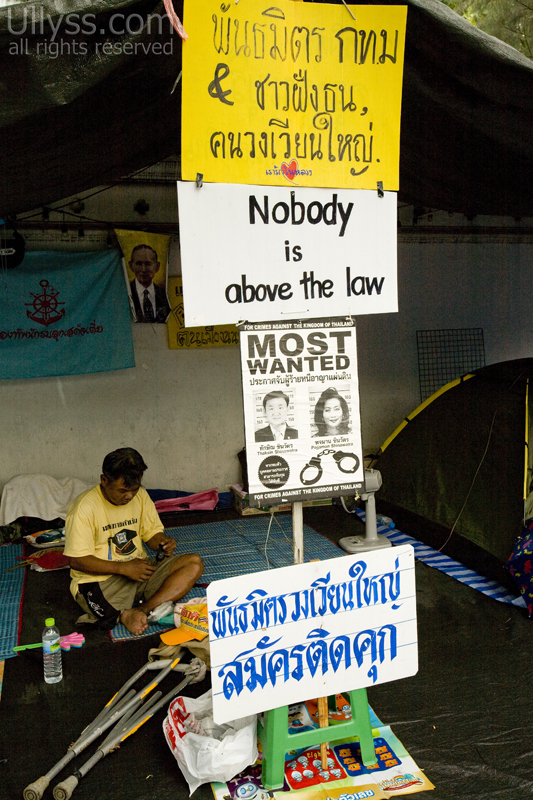 When the government had called for the non-taxation of Shin Corp’s sale, the Yellow shirts had quickly organised an anti-government campaign, calling for the return of Thaksin to be trialed for corruption. Present day 2010 Thailand seems to have turned 360, with the Red Shirts, Pro Thaksin Supporters (mainly rural regions) calling for the return of Thaksin and for the new re-elections and claiming the incumbent Prime Minister Abhisit Vejajjiva election was illegitimate. I can’t comment on Thai politics as I am not living there, am neither a supporter or against any governments. 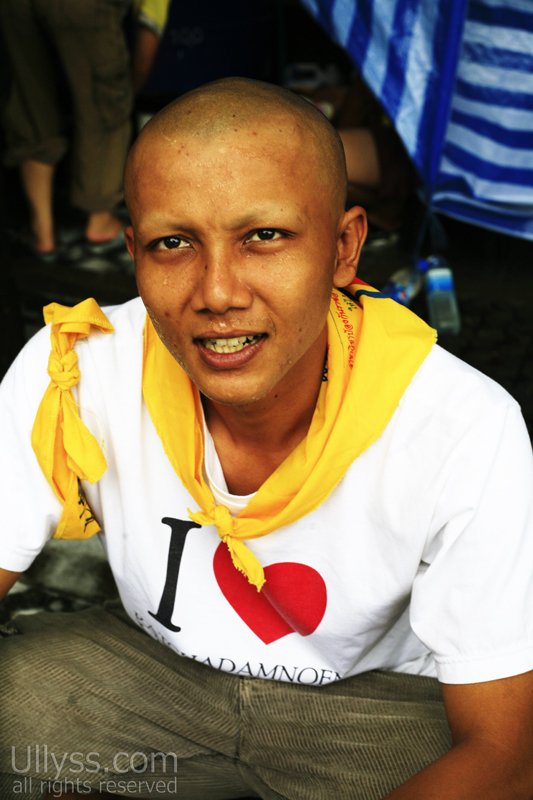 The Yellow shirt demonstration back in 2008 seemed more like a carnival event than a political demonstration. However it was quite interesting to note that local businesses were supporting the anti-corruption stance against the former Thaksin government by offering the protestors with food, lodging and other amenities instead of larger political parties. I wonder what are the political motivations for the Red shirts this time, who is financially supporting these anti-government supporters? And why don’t the Thais learn from previous mistakes? Happy Independence day to Republic of China! Happy Children’s Day to all the kiddies in Singapore! I use to hate going to school on this day, i had to celebrate my special day with the rest of the hundreds out there. I felt sooo un-special. Bah I am still special! I am in Phuket at the moment for Thailand’s Phuket Vegetarian Festival! The vegetarian festival has nothing to do with vegetarianism much, its more a buddhist festival. October is also the month of vegetarian awareness. 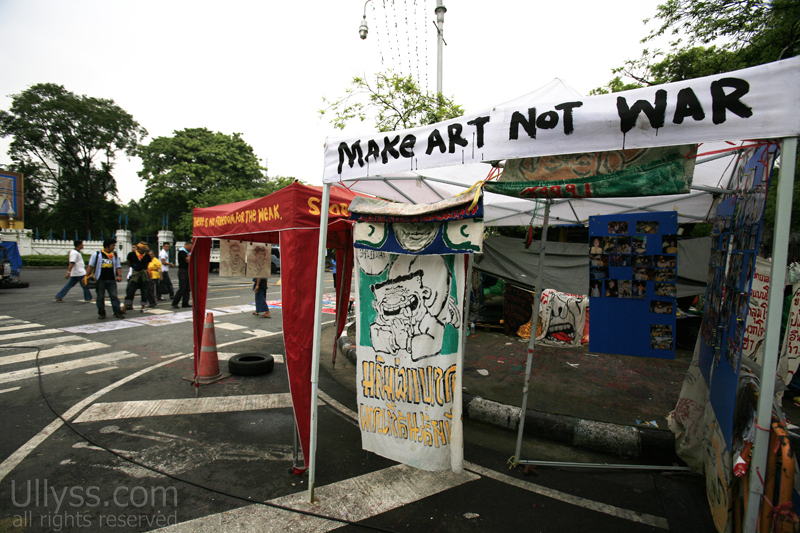 The many stalls at the protest site gives the whole place a funfair feel. The stalls sells anti-government demonstration paraphernalia. Only in Thailand where the enterprising thai mixes politics and enterprise, creating merchandises from political protests. 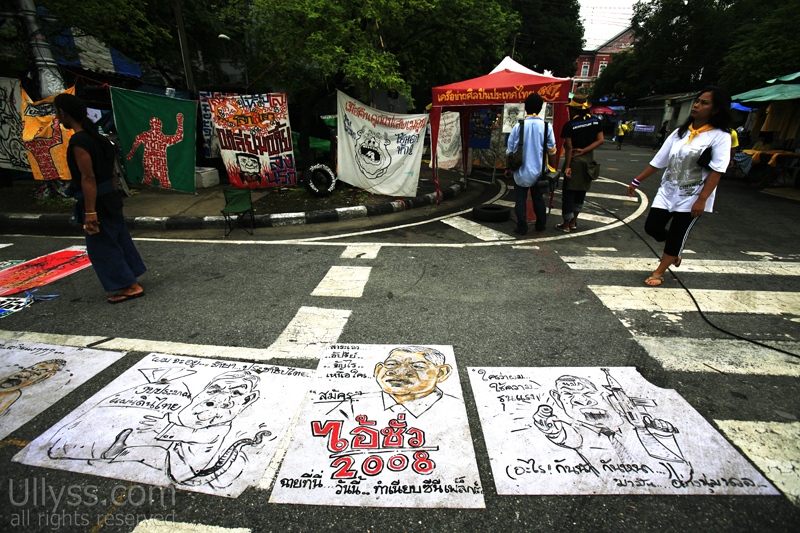 Caricatures of Thailand’s Prime Minister Samak Sundaravej pasted on portable toilets. Samak being criticised of being in a televised cooking show. Samak, a self-proclaimed foodie, hosted a popular television cooking show _ “Tasting and Complaining” _ for seven years before becoming prime minister. But he also made several appearances after taking office, allegedly breaking a constitutional prohibition on private employment while in office. 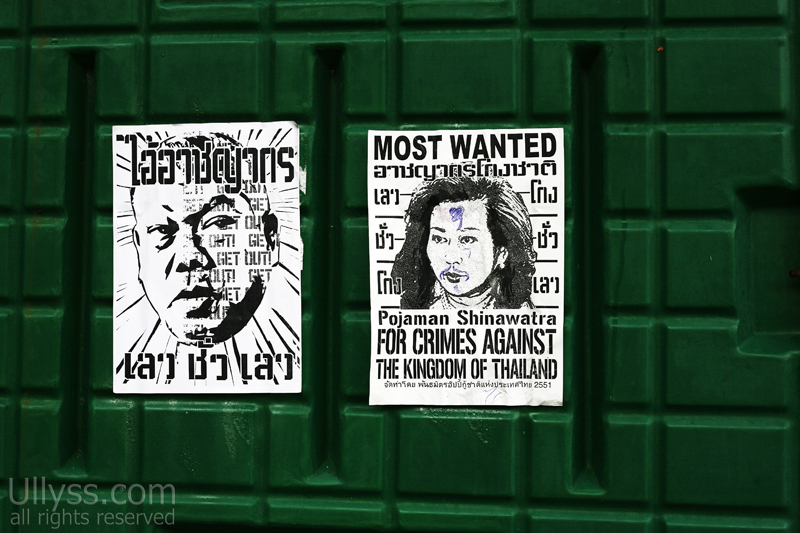 Wanted poster of Khunying Potjaman Shinawatra, wife of former Prime Minister Thaksin. 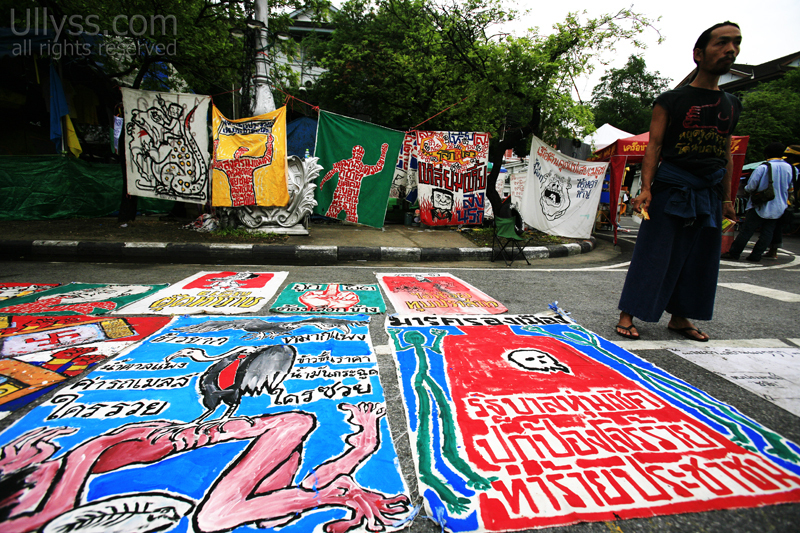 Potjaman played a key role in the development of Thaksin’s commercial enterprises. Potjaman fled the country with her husband to Britain.